Joint Open House 2019 – CAMplete Solutions INC. The annual Joint House that takes place in Missasauga and Oakville, Ontario makes sourcing new shop floor equipment easier. Four Machine tool builders, all within close proximity put on this show to give Canadian customers a convenient chance to view their offerings. 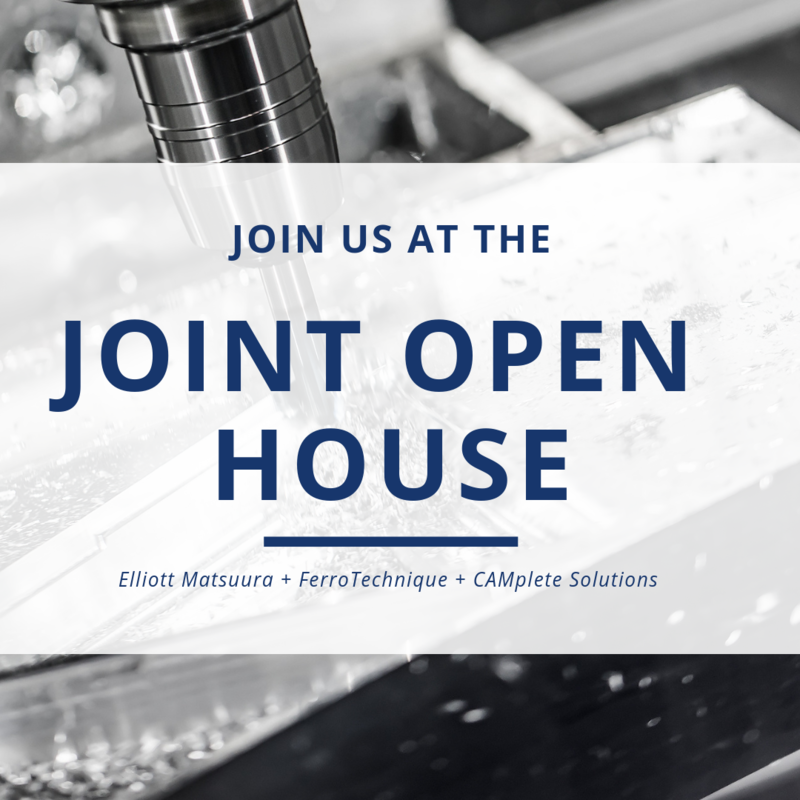 The 14th annual joint open house takes place at each location on April 10-11, 2019, between 9 a.m. and 6 p.m.
CAMplete Solutions will be demoing at both Elliott Matsuura Canada and Ferro Technique. Visit their websites to learn more about the event and stop by to see our software in action.